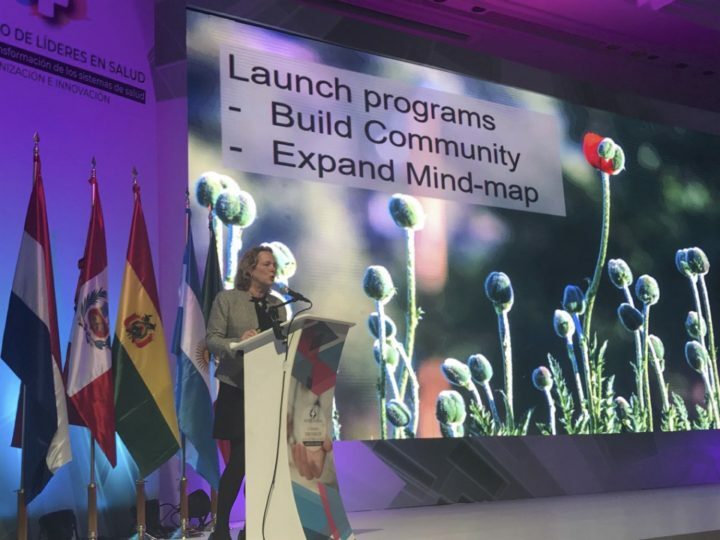 The First International Meeting of Health Leaders convened by the Ibero-American Organization on Social Security (OISS), the Latin American Organization of Healthcare Providers (OIPSS), the Latin American Hospital Federation (FLH) and the Latin American Health Managers Federation was held in Mexico City on April 19-20, 2018. The theme of the meeting was “The Necessary Transformation of Health Systems, Humanization and Innovation”. Its purpose was to strengthen and confirm institutional commitment to innovation and humanization programs as the pillars of healthcare management, in addition to presenting new national and international benchmarks and trends aimed at underscoring the relevance of healthcare management as knowledge generator and as a major driver of economic and social development. The Meeting was attended by the highest healthcare authorities from 12 countries and more than 4000 clinics and hospitals were represented. The “ISSTE Memorial” award was presented during the “International Meeting of Health Leaders”, which will take place each year in different places in Ibero-America. The Civil Servants Social Security and Services Institute (Instituto de Seguridad y Servicios Sociales de los Trabajadores del Estado, ISSSTE) is a Mexican government institution that provides social and healthcare services for civil servants, with a coverage of almost 13,000,000 right-holders. For its Humanization and Innovation policies, the ISSSTE was the Meeting’s guest of honor and presented the award. This award is intended to recognize successful careers oriented to Humanization and Innovation and outstanding individuals who, ahead of their time, have engaged their efforts and talents in the advancement of the world. IMES faculty, Dr. Martha Gray was the recipient of this award for her career of more than 13 years in charge of the Harvard-MIT Division of Health Sciences and Technology and for her current management of MIT linQ and the M+Vision Consortium.